Home » Commentary » Contributor » Yousuf Zubair » The Hizmet Movement: ‘Terrorist’ or Terrorised? President Erdogan described the ‘terroristic’ Hizmet movement as ‘a threat to democracy, to the rule of law, and to the rights and freedoms of the citizens’ of Turkey. In my experience, however, Hizmet actually seems to directly facilitate and actively promote these three integral elements of contemporary society. After the attempted military coup in Turkey last month, President Erdogan and officials within the Turkish government seem to have unequivocally blamed sympathisers of the Hizmet movement and have begun a purge of ‘Gulenists’ (and any other opposition to the President). The reclusive Muslim cleric Fethullah Gulen whose teachings and values are instrumental to the movement’s activity, is alleged to be individually accountable for the putsch. In his speech on 20 July declaring a three-month state of emergency in Turkey, President Erdogan described the ‘terroristic’ Hizmet movement as ‘a threat to democracy, to the rule of law, and to the rights and freedoms of the citizens’ of Turkey. In my experience, however, Hizmet actually seems to directly facilitate and actively promote these three integral elements of contemporary society. The Hizmet movement is a civil society movement which primarily involves education, charity and dialogue throughout the world, something which it has been increasingly successful in doing since its conception in the 1960s and is now active in over 160 countries. Political commentators and critics of President Erdogan have argued that his apparent demonisation of the Hizmet movement is as a result of the influence and potential power this success provides; especially since December 2013 when corruption within Erdogan’s government was exposed and he appeared to be enacting progressively authoritarian policy and leadership. In the light of this reality, and ominous current affairs, I feel it is necessary to share my own personal experience of the Hizmet movement, as a young, tapped-in British Muslim – who quite frankly would be the ideal victim for a terrorist recruitment initiative. In my experience, and from my own research, the Hizmet movement seems to be perhaps the furthest thing from a terrorist or extremist organisation; its primary and constant focus and the very reason for its conception is to provide and promote education – such aims are highly uncharacteristic of, and in fact directly opposed to established terrorist groups such as the Taliban, for example. I learned about this commitment to education through visiting Fatih University in Istanbul where a very visible emphasis was placed on student welfare and an non-discriminatory provision of outstanding education for young people regardless of ethnic, cultural and financial backgrounds. 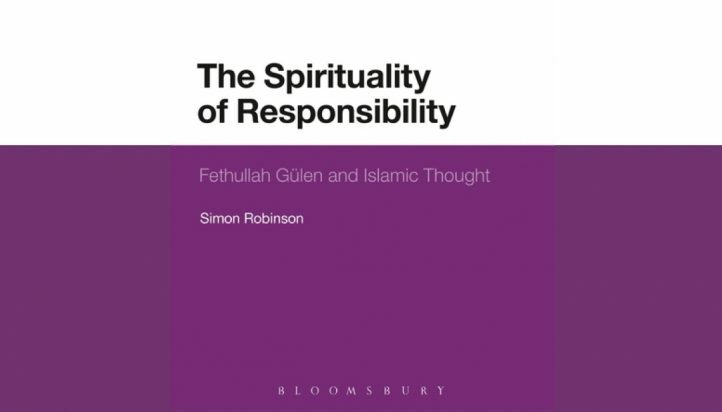 In this, its roots in the Hizmet movement are clear; with key principles such as the constant need for positive thought and engagement, a firm belief in diversity, and ensuring that love and compassion is the basis of all our interactions with each other. This notion was further emphasised by my visit to the Light Academy, Kenya, having travelled to Nairobi with a Hizmet-linked charity – Time To Help – who I first encountered in 2015 in Calais and Brussels at the peak of the refugee crisis, as one of the first of very few groups providing hot meals to the desperately needy. I joined with the Hizmet charity in this trip to Kenya to provide food and water for malnourished villages, and clothes, toys and stationery for impoverished children, particularly orphans. The organisation works tirelessly to heal the wounds of conflict and inequality throughout the world – as opposed to causing or contributing towards these issues. Also while in Kenya, I visited a school which was set up by members of the Hizmet movement who were influenced by Gulen’s teachings, and the values and principles he has exhaustively advocated through his many books, articles and speeches. The school followed a characteristic Hizmet model in that although it was a private education institution, 40 per cent of its students were taught and provided for, through full bursaries. This enabled the school to evade the universally common pitfall of private schools, universities and centres of exceptional teaching services in only being available to a silver-spoon mighty minority. After talking to students and teachers at the school it quickly became apparent that this institution actively encouraged the mixing of children from all backgrounds. This demonstrated two things: firstly, the movement is neither about empowering the lower, working classes, nor is it about (as Erdogan and many supporters might argue) cementing the power of the upper-middle classes, and ‘infiltrating’ influential areas of society such as the government, military and judiciary. Rather, it is about encouraging fluidity within a community and working in a collective, collaborative way towards a common goal despite external factors such as individual wealth or social status. Secondly, it is further proof of the Hizmet movement’s commitment to Fethullah Gulen’s strong belief in the necessity, and equality and diversity – adding to evidence that Hizmet is about care, compassion and cohesion, and therefore cannot, as an entity, sensibly be held responsible for such a damaging, divisive and undemocratic coup attempt. Finally, I have interacted with the Hizmet movement’s third branch: dialogue – through the London-based Dialogue Society, which busies itself with encouraging and engaging in interfaith and intercultural conversation. The most prominent example of this that I have personally experienced is in a recent publication authored by the Dialogue Society and the Centre for Hizmet Studies aptly entitled and entirely focused on ‘A Hizmet Approach to Rooting Out Violent Extremism’. 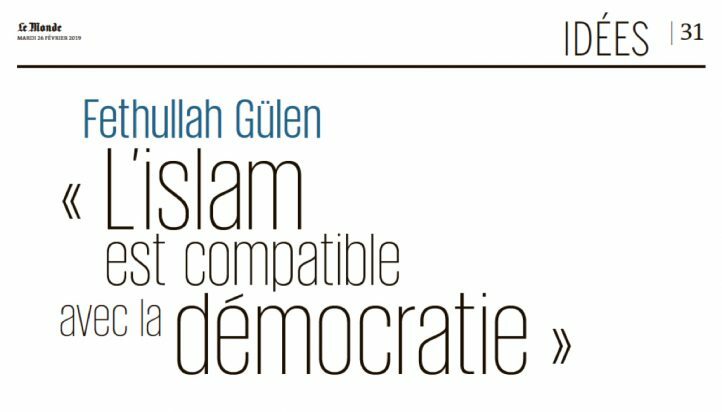 Violent extremism, such as that which was seen in Turkey on 15 July, and every day since – thereby, the Hizmet movement and its followers are not just apathetic, or uninvolved in the calamitous coup attempt, but in fact actively work against the ideologies and mindsets that fuel such attacks. In the end, when analysing this most recent coup attempt, and judging the Hizmet movement or Fethullah Gulen’s involvement comes down to the simple fact that Hizmet activity revolves around education, charity and dialogue, and underpinning all of its work are love, compassion, equality and positive engagement. Essentially, this is epitomised in the fact that the turkish word ‘Hizmet’ literally means ‘service’. On the other hand, Gulen’s impeachers, and indeed aggressors: the AKP, whose leader has held office for over 15 years, in my opinion, are proliferating increasingly alarming narratives about Hizmet and Erdogan’s political opposition. 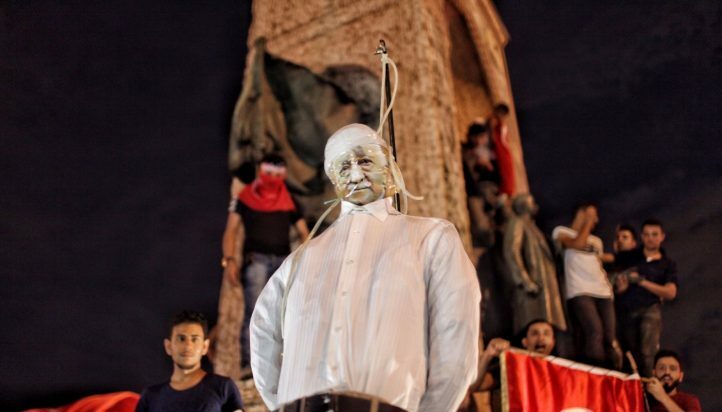 I feel that a very tenable possibility in keeping with his almost autocratic actions of late, is that Erdogan is using Gulen as a scapegoat to aid in solidifying his own position of authority and effectively untouchable status in Turkish politics. This notion seems entirely likely to me in the light of what I find to be a grotesquely disproportionate lack of evidence for Erdogan’s claims, as has been the case in the past where for example, even the downing of a Russian fighter jet was also blamed on Gulen. My experience of the Hizmet movement’s activity and my knowledge of its very nature make me quite confident that the teachers, doctors, volunteers and authors of its great work are most certainly not terrorists, and may in fact be one of our greatest global assets in combatting those who are. This article was originally published in WriteYou.